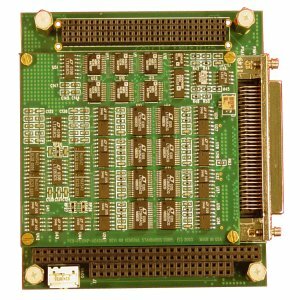 In 2008, the specifications of the PCIe104 bus are published, which stipulates a connection of 156 pins divided into three identical zones. 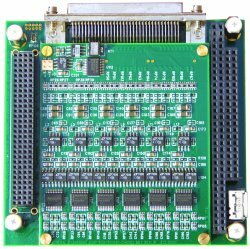 In 2010, the standard assigns PCIe x16 signal pins to two PCIe x4 links, two USB 3.0 buses, two SATA buses, and to a real-time clock. 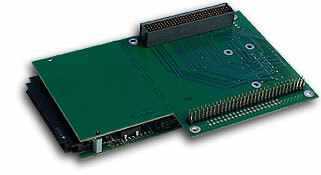 In 2013, the 3rd generation PCIe bus is introduced in the PCIe104 and PCI104-Express standards. 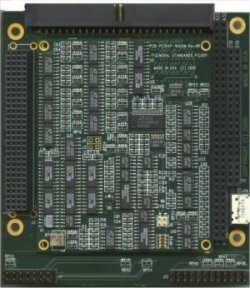 This allows exchanges at speeds of 2 GB / s, 8 GB / s, 16 GB / s and 32 GB / s on PCIe links respectively x1, x4, x8 and x16. 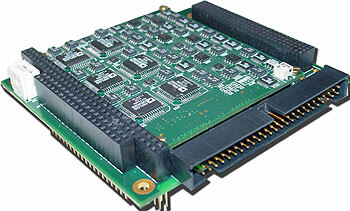 The PC104 is intended for specific uses, such as data acquisition or industrial control systems. Due to its resistance to shock and vibration, it is used in industry and the military. The components of a PC104 are in the form of modules that stack on top of one another. A typical configuration includes a motherboard, an analog / digital converter and a digital input / output module.